Mr. Edwards is the owner of Edwards Law Group, LLC. His practice focuses on employment law, commercial and appellate litigation. Mr. Edwards is a lecturer at the University of Wisconsin Law School, where he teaches Civil Procedure, Legal Writing, and Pre-Trial Litigation. In addition to teaching, Mr. Edwards is a frequent speaker, to law schools and local bar associations, on behalf of Wisconsin's Lawyer's Assistance Program. Tim is licensed in Arizona and Wisconsin, as well as the Western District of Wisconsin and the Seventh Circuit Court of Appeals. Mr. Edwards received his undergraduate degree from the University of Wisconsin - Madison and his law degree from Wayne State University Law School. After practicing criminal and employment law in Arizona, Mr. Edwards returned to law school to study criminal law, employment law and drug policy in America's legal system. In 1998, Mr. Edwards graduated from the LLM program at the University of Missouri Law School with high honors, where he studied and published his master's thesis entitled Constitutional Limits on an Employer's Right to Dictate the Terms of an Addict's Recovery Under the ADA: Some Sobering Concerns, 44 Wayne L. Rev. 1679 (1999). In 2000, Mr. Edwards received his Senior Juris Doctorate (SJD) degree from the University of Wisconsin Law School, where he studied addiction and drug treatment in the criminal justice system. Mr. Edwards' SJD dissertation, The Theory and Practice of Compulsory Drug Treatment in the Criminal Justice System: The Wisconsin Experiment, was published in the Wisconsin Law Review (Spring, 2002). Mr. Edwards' most recent publication, Representing The Impaired Client, is featured in the American Bar Association's GP Solo magazine. Mr. Edwards is an experienced litigator who has represented hundreds of clients in a number of different litigation settings. 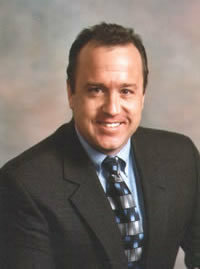 While practicing law in Arizona, Mr. Edwards represented over 100 felony defendants in Yavapai County Superior Court, and quickly developed a reputation as a thorough and aggressive trial attorney. Through his career, Mr. Edwards has represented hundreds of clients in state and federal court and various administrative tribunals, including the Equal Opportunities Commission, the Wisconsin Equal Rights Division, the Department of Employee Trust Funds, the Department of Workforce Development, the Department of Social Services, the Wisconsin Board of Bar Examiners, the Department of Regulation and Licensing, and a number of local Police and Fire Commissions throughout the State of Wisconsin. Mr. Edwards has also developed a new pre-trial advocacy class at the University of Wisconsin Law School that focuses on litigation strategy and advocacy skills for second and third year law students. Mr. Edwards' litigation experience, academic background and teaching interests provide a sophisticated skill set and a unique perspective that support a personal commitment to excellence that is ultimately passed on to his clients.